The art of healthy gift giving. Our mission is to introduce quality and unique health products and brands through gifting to inspire a healthier way of living. Yours Truly is a Hong Kong based gift company with a focus on health and wellness. High quality and unique products are carefully sourced and thoughtfully curated to inspire a healthier way of living. We make gifting effortless and memorable by curating collections filled with special products to reflect our customers’ intentions as givers, helping them nurture relationships that matters. 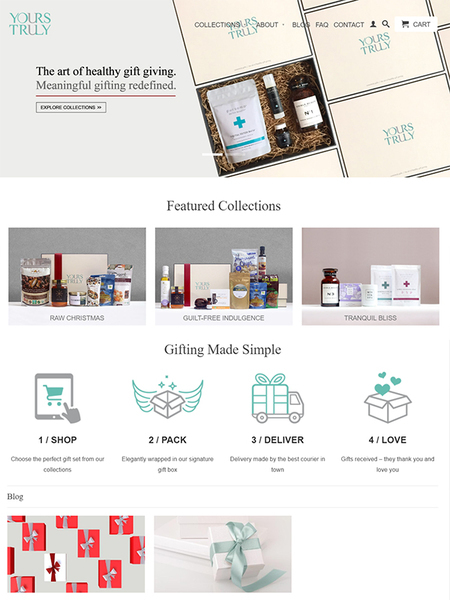 All of our collections are curated in small batches to give customers fresh gift ideas. From gift sets created for the superfood and gluten-free advocates, fitness enthusiasts, to natural beauty and detox sets for the ladies, our gift ideas are endless. We will continue to curate unique themes and make gifting a pleasant experience for our customers and their loved ones.